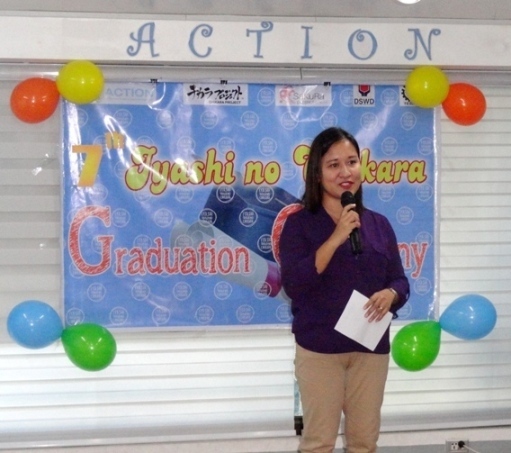 Iyashi no Chikara (Power of Therapy) Batch 5 celebrated its Graduation Exercise last December 21, 2017 at Chikara Studio, Quezon City. A total of 21 trainees (7 male and 14 female) from Golden Reception and Action Center for the Elderly and other Special Cases (GRACES) successfully completed the Basic Massage Therapy. The training includes topics on Swedish, Shiatsu and Pinoy Hilot Massage with a total of 27 training sessions. The activity started with an opening prayer led by Ms. Filomina Espeleta, Batch 5 Graduate, followed by a welcome message by Mr. Hajime Yokota, Executive Director of ACTION Inc. He congratulated the graduates’ efforts in completing the Basic Massage Training course. Mr. Yokota expressed his hope that they will be able to apply the knowledge and skills that they have acquired to the elderly residents of GRACES. 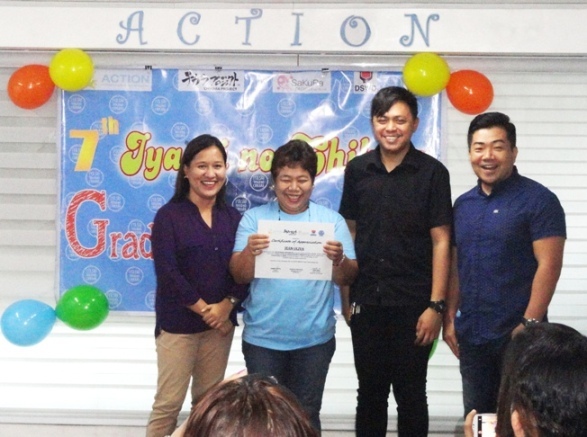 Ms. Cabrera also delivered a message where she congratulated the graduates and expressed her gratitude to ACTION Inc. for giving this kind of opportunity to the House Parents and staff. The participants had a chance to demonstrate their skills through a chair massage for the guests and staff. As the highlight of the event, certificates of completion together with massage starter kits were awarded by Ms. Farrah Cabrera, Mr. Hubert Lemuel Anonat and Mr. Hajime Yokota. There were also special awards given to Ms. Filomina Espeleta (Perfect Attendance) and Ms. Jean Oliva (Perfect Attendance and Most Outstanding Performance). Ms. Jean Oliva and Ms. Merly Reyes, two of the graduates had the chance to give their testimony. Ms. Oliva thanked ACTION Inc. for the opportunity. She never expected that she will be able to achieve this kind of accomplishment at her age and she promised to apply her skills in massage therapy to the elderly of GRACES. Ms. Reyes was also very thankful and hopes that there will be another batch of training at GRACES. She also congratulated her fellow batch mates. To formally end the program, Mr. Hajime Yokota again congratulated the graduates. 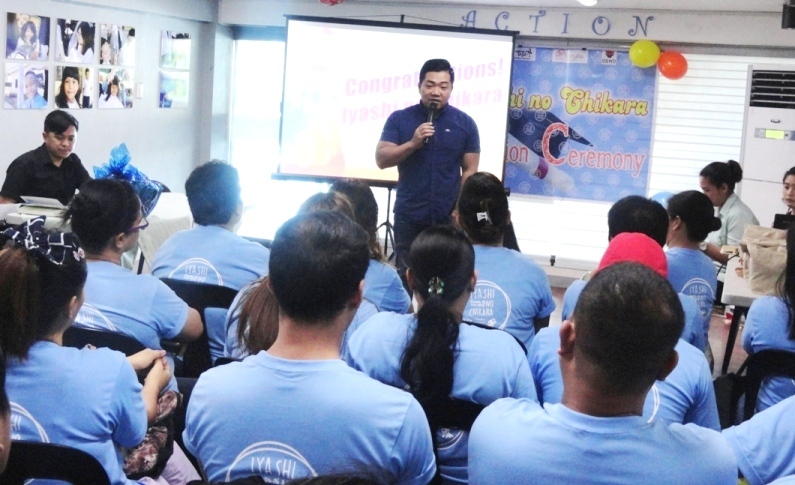 He also thanked Ms. Cabrera for the support to the participants and to ACTION Inc.